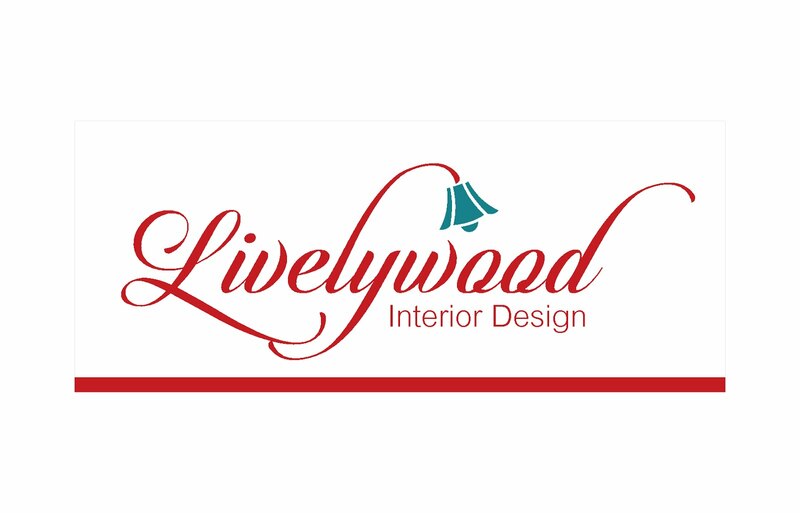 Lively-wood is all about art, decor, colours, hand-crafted furniture, architecture and so on. From subtle to bold, ethnic to contemporary, each post and article is a unique observation or tip. It is a blog that assists you in your daily chores, seasonal change, crafts and opens new ideas to different art around the world. The charms of Kutch are embedded into its art. Against the backdrop of the white crystal deserts and the yellow grasslands, the Kutchchy people stride in grace with their bold colourful embroideries. We can see this in their clothes, over their walls, on their beds...almost any place around. Overall a fantastic mishmash! There are two distinct forms of art which are typically seen in the interiors of Kutch - Lippan Art and Kutchy 'Bharat' meaning embroidery. Among the many Jat communities in India, Kutchchy Jats are nomadic, separated from their fellow families in Pakistan. They rear cattle, breed camels and indulge in exceptional artwork. Through some family connections, we had a good chance to meet a Jat family deep into the Dhodro village. When we entered their courtyard, we noticed a cluster of round mud houses painted white with bright carved doors. They had thatched roofs and looked like the ones in fairy tales. We later learnt that all mud houses, commonly known as 'Bhungas' belonged to one extended family and each sub family had its own 'Bhunga'. Wow...we were impressed because as soon as we entered one, it felt cool as if entering an air conditioning room. Not only that, it glistened with magnificent patterns and murals with mirrors embedded in them. The whole feeling of a warm welcome, the unruffled ambiance, freshness and the gorgeousness of these homes touched my heart. I couldn't help writing about it. While trying to apprehend so much about how beautiful the 'Bhungas' are, I noticed how neatly everything was aligned and arranged. Looking at my baffled face the 'sarpanch' or the village head explained that murals on the wall are called Lippan. They make simple patterns with a generous use of mirrors and earthy colours. Usually mixture of donkey or camel dung and clay is used to make Lippan murals. It is hard to believe that donkey or camel dung can create such alluring work. Thread and Countless Mirrors All over Kutch, we saw a spectrum of colours. Locals wear bright colours so that they can be spotted easily in the wide deserts. They have several types of embroideries like Kambari, Niran, Kherk belonging to different tribes in the region, etc. These patterns are known to be the most advanced and intricate. A lot of them indulge in skirt work and coverlets. Typically, men set out with cattle while women embroider. These ladies prepare for tocher for their little girls. One such exclusive style of needlework that caught my eye was distinct from the rest. Apparently, it is known to be from Sind in Pakistan. There were rugs folded neatly which had small triangular pieces of coloured cloth stitched on the outer side with the actual embroidery being at the centre. This resulted in small and detached design from the interlaced woven fabric that stretched above the surface of the base cloth. I know it may be difficult to visualize what I just wrote but perhaps a picture might do some justice to my explanation. I wondered how it must feel to have your entire life revolving around art. Its almost like you live, breathe, create and worship such a gift. I observed how women gossiped, took care of their children who chased goats while their hands moved swiftly over their needlework. Such incredible and perfected work was a boon! Hail to Kutch...inspiration unlimited! Really loved the photos and the way you backed it up with the right words. Thank you Nevin...had so many pictures, was difficult to choose from the many..
Don't miss it if you ever get a chance..
Wow! Amazing! Thank you so much for this virtual visit! :) thank you. i am glad you like it. Wonderful post Sonia!!! I liked the way you clicked each photograph. It shows true essence of Kutch. i love your post as well. The lady working on lippan art is very pretty as well. This is lovely. It was indeed a pleasant surprise to stumble on your post as I will be there later this month. Plan to drive down just to explore the place. Where did you stay in dhordo? Hi Sabyasachi...glad to know you are visiting Kutch. Dhordro is a very small yet scattered place. The last point you can stay at is at JP's resort in Nakhatrana or then at Shaame-e Sarhad village. Shaame Sarhad is very nice but you can only book it online. Lovely pictures and a nice account of the Kutchchy people and their crafts. loved those intricate designs and colours...have been to ahmedabad a few times, but never to kutch....would love to visit sometime..thanks for sharing! beautiful post...i am from ahmedabad but never been to kutch..sad. Love to read your post. So beautiful capture. Beautiful photographs and a lovely article. Kutch has long been on my travel wish list. Thanks Raghav....please make sure you visit...its truly beautiful! Nice pics. Thanks for sharing.. Shabby . Chic. Weird. Creative. 5 Dressers that made a Statement! Bring on the Summer once again! Sonia's life reads like a tapestry of colours. The driving force behind Lively-wood, Sonia has a passion for art and creativity. She is one the few lucky people who could turn her passion into a career. Her long association with art, colour and handicrafts has metamorphosised into a fulfilling career which she is successfully pursuing through eclectic woodwork. She breathes life into mundane wood piece by giving creative pizzazz and its own identity. Her marvelous interiors and furniture design have been appreciated by art lovers and laymen alike. Sonia has an undergraduate degree in French Language and has completed her Master's degree in International Business from France. After her Master's degree, Sonia moved to USA where she established a retail and wholesale outlet of Indian art, handicrafts, home decor and women's accessories. Her stint in USA along with her studies in France has helped her combine business acumen with her creative streak. While abroad, Sonia was able to give outlet to her other passion – world travel. She has had the opportunity to travel the entire Americas from Canada to Peru, length and breadth of Europe, Africa and even Middle East. During all these trips she caught studied of the local art and craft which she expresses in her furniture. She makes a constant effort to provide us a glimpse into the art of places far-far away.